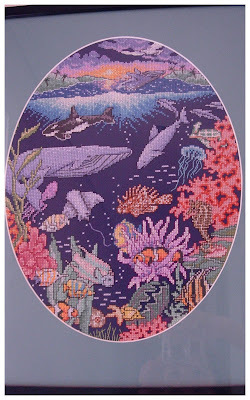 Before I had kids, I used to do a lot of cross stitch. I thought I’d share some of them over the next few days. This one is done on dark blue Aida cloth and is nice and bright.